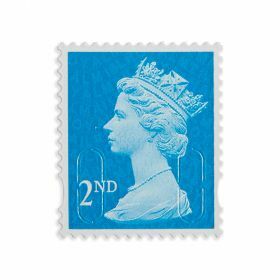 Book of 12 first-class stamps in new font (Chevin) and new colour. One pack of 12 first-class stamps with a change from the previous font (Unica) to Chevin and a slight change of colour. First released 20 October 2016. 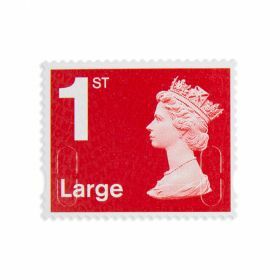 For letters up to A5 size or less, weighing up to 100g, and less than 5 mm thick (or size B4 or less, weighing up to 750g and less than 25mm thick).